23571 5 Amp BEC Volt Reg. Spec: In 8-23 volts and Out 5 volts, 5 amps. Instead of a Receiver battery you can parallel wire a UBEC which provides the power for the radio system. 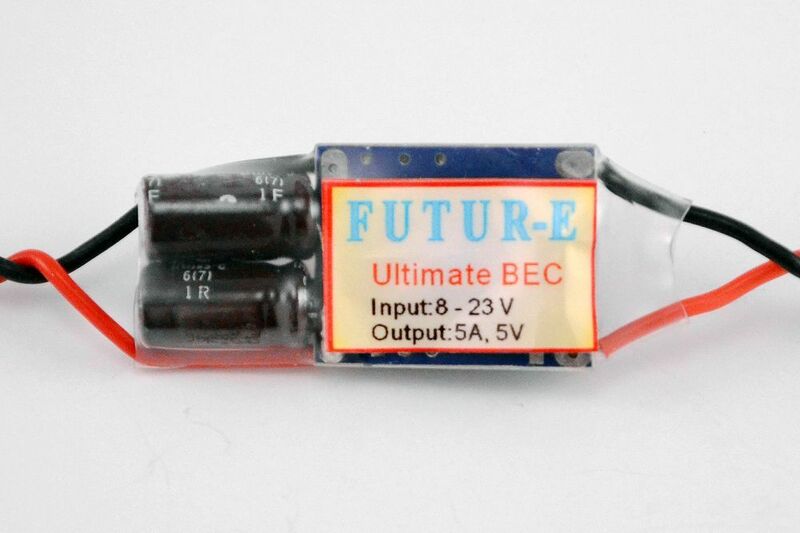 Powerful 5 A cont output, sufficient for up to 6 servos plus receiver.